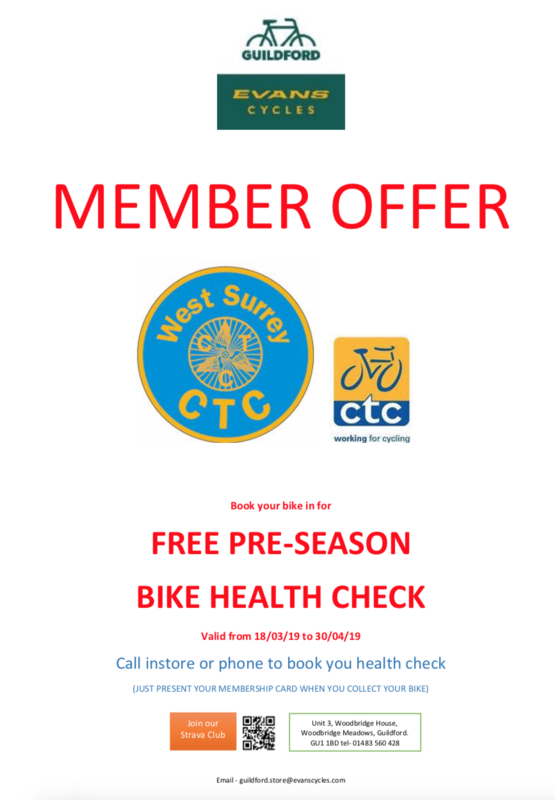 We have had an approach from the Evans Cycles store in Guildford (Woodbridge Meadows, GU1 1BD) to offer a FREE “Pre-Season” bike check to WSCTC Members any time before the end of April 2019. 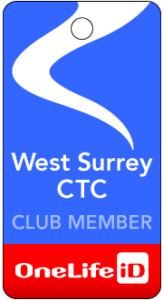 Just call in to the store or phone ahead (01483 560 428) to book an appointment, on presentation of a valid CUK membership card. This is part of a new initiative from Evans, who are keen to develop relationships with local cycle clubs, and we are actively exploring other ways in which we might collaborate with the store.